What exactly is middle age? You always hear people talking about their “mid-life crisis”: how one particular panic attack or moment of decision changed the second half of their life. But what if your perception of reality has become tilted over time? Would you even notice it? I know I share the sentiment of many who feel their cosmic clock ticking away, day after day, year after year, without as much as an apology from said clock for moving near the speed of light. Some of us reached this level of maturity easily; others bumbled and stumbled our way here. But all of us have filled our hearts and minds with experiences that made the journey worthwhile. 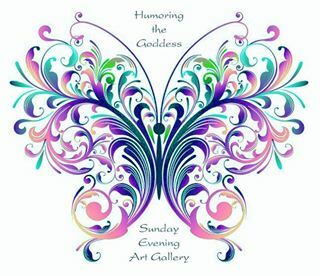 Humoring the Goddess: Managing the Madness Magic of Middle Age mingles a bit of magic with the madness that surrounds us as we ease away from the dreams of our 20’s to the realities of life past 40. Magic, you say? The older I’ve gotten, the more I realize that magic is nothing more than our point of view. Magic touches and guides us from within, a mixture of common sense, experience, and nonsense, taking us from dreams to reality and back again. And since it doesn’t cost a thing, it can be tapped into over and over again. Alrighty. We’ve chatted about middle age and magic. What about this blog? What can you expect from this corner of the universe? Each week, Momentary Musings will bring you stories that twinkle with honesty, irony, and positive energy. There also will be Quimsical Quotations, witty words from some of the most fascinating minds in history; and Frivolous Facts and Falderal, useless bits of entertainment that have nothing to do with the world in general but keep you chuckling with the universe in particular. And believe me. The universe chuckles. Sometimes life twists and turns as if we’re traveling down some corkscrew highway. We think we know where we’ve been, where we’re going. Suddenly children and elves and family members come along and fracture whatever notions of normalcy we have. What was simple suddenly becomes complex. We feel slower, chubbier, and denser than we ever have been before. Other times we fly with the grace of a downhill skier. We develop insight like Einstein and patience like Gandhi, making the circle of life complete once again. Let me assure you, you are not alone in your misgivings about middle age, whether you are heading in that direction or already there. There is a thread of truth that rings through all my stories, a thread that connects us all with smiles and tears, sighs and adrenalin rushes. And hopefully you will come to understand that it’s okay to experience them all. 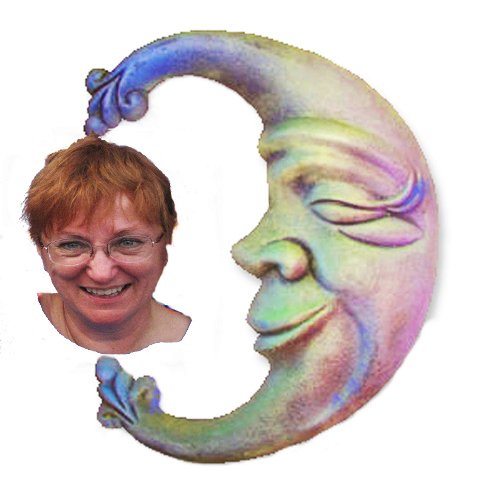 Enjoy your journey through Humoring the Goddess: Managing the Madness Magic of Middle Age. Before you know it you’ll be humoring the Goddess yourself, no matter what your age. Middle age? It’s that long period between when young people think you’re “old,” even when you don’t, and when your body starts telling you you really are. There’s no reliable set of numbers on middle age (or young or old). I like to say that age is a state of mind, until your body tells you otherwise. So middle age is probably from somewhere in the 30s to somewhere in the 60s, though we’ll get arguments on both ends of the spectrum, depending on who’s arguing. I know “kids” who thing 30 is “old,” people in their 40s who argue they aren’t “middle-aged yet,” and those in their 70s who refuse to believe (or act like) they’re old. I also know people in their 50s and 60s who think and behave “old,” sadly allowing their zest for living to wane. Another definition of middle-aged, therefore, might be as long as the zest survives.